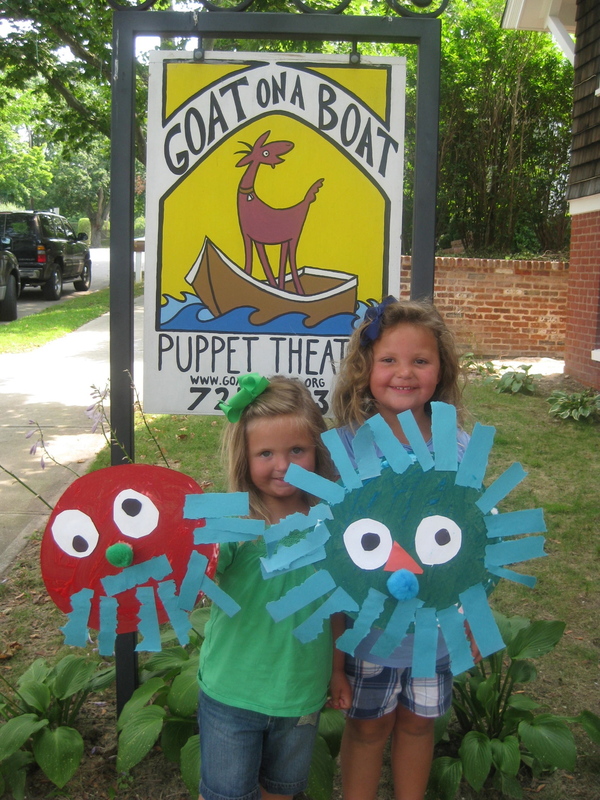 Join Liz Joyce for a week of puppet making at Bay Street Theater. Puppet Power Camp August 13-17 , 9:30-12:30. Click here to find out more and to sign up. Puppet Playgroups at CMEE in October and November! 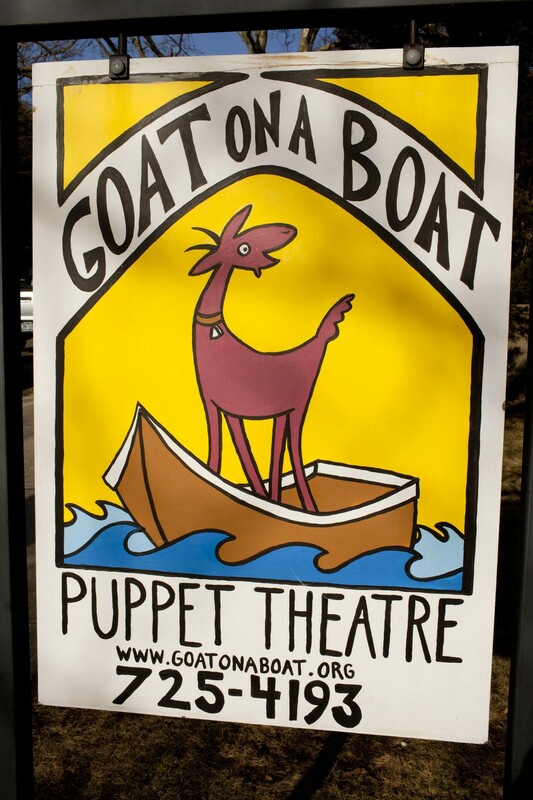 Goat on a Boat loves its new home at Bay Street Theater! Goat on a Boat has officially moved to its new home at Bay Street Theater. Not only do we love being part of the Bay Street team, but we love our location right at the end of Main Street in Sag Harbor. From our new home on the Long Wharf, we can see the windmill, we can see the water and come summer there will be ice cream right next door! In Bay Street's beautiful performance space, we can host puppeteers with bigger shows even though we still do lots of smaller shows. We hope that you will come and see a show soon. Shows happen on holiday weekends and every Saturday in March.